It would be an understatement to say that Samsung messed up with the Galaxy S10 launch. As many of you probably know by now, pre-orders for all four Galaxy S10 models went live soon after the official announcement. Even though they couldn't be pre-ordered in all countries, customers from some of the most important markets have been able to place their orders on February 20. Unfortunately, it looks like there's a lot of confusion among those who pre-ordered their Galaxy S10 phones or are about to, regarding the amount of RAM that these devices pack inside. Samsung's website lists some of the Galaxy S10 models as having 6GB RAM, which is completely wrong. To make things worse, the actual phones show the incorrect RAM amount too. 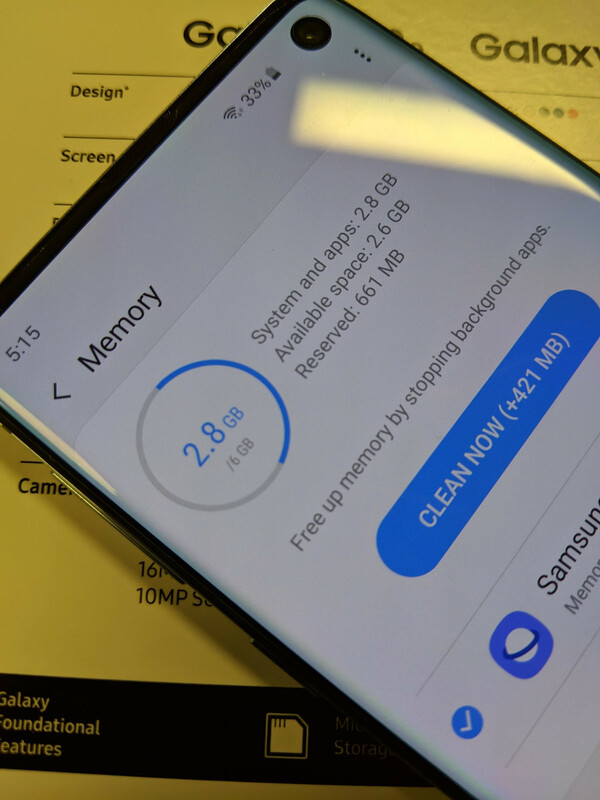 A photo posted on reddit by Curly_umbrella, and spotted by AndroidPolice, clearly shows a Samsung Galaxy S10's Memory tab that says the phone has 6GB RAM. Moreover, one of the major carriers in the U.S., AT&T has all their Galaxy S10 models displayed on the floor showing 6GB RAM. We have no idea how this could happen and why no one from Samsung noticed the problem, but the company said the specs displayed on its website will be corrected. In case you're thinking of ordering a Samsung Galaxy S10, or already did, you should know that all four models – Galaxy S10e, Galaxy S10, Galaxy S10+, and Galaxy S10 5G come with 8GB RAM inside; no more, no less. S10 is glowing and iPA is struggling to find the negativity in the phones so it resorts to some low level stuff like this. If (!) this happened to Apple, the headlines be like: "Lucky customers are in for a treat." "Apple surprises early adopters by including more RAM than what they paid for." "Your shiny new iPhone now comes with more memory than what your doctor ordered" Etc., Etc. Actually this is very high level stuff, it's useless to make a phone if consumers don't know how to chose and buy it properly. 8GB RAM is very much needed on any Samsung phone period because of their heavy and highly bloated UI. Otherwise they tend to lag very soon. its actually not bloated from one ui. my xs max crashes due to poor ram. i think people like you are the people who download more ram if apple told you so. Samsung heavy and bloated? What is this, 2015? Clearly you have NO idea what you're talking about! Could you puleeeeze just stfu!! 6gbr on my note is doing very very well, so that argument about needing 8gbr on a Samsung device is just ballocks. Samsung adds 8gig on the s10 because they want anyone using DeX any other intense feature can have a seamless experience, if you're just browsing the web, games etc you'll be just fine with 4. My 6GB RAM Note 8 begs to differ. So the customer get a phone with more ram than expected? Yepp.. He or she will be very mad! That's not what Phone Arena is saying, though I'm not sure they're totally right. No, that's not how things happened. Samsung advertises 8GB RAM on some websites, but 6 on others. Guys go to Sprint store and check out the review unit, and it's 6GB. The guy is confused since he paid for 8GB. It turns out that the website was wrong at some places, and the S10 is actually 8GB. However, the demo models are 6GB. Some people are speculating that Samsung initially decided for 6GB but later changed to 8. The stock with 6GB was non-trivial, so it was used for demo phones. That's a good news, not a real mess.A kind of "buy 6gb ram, gain 8gb". Are you sure about this? The specs list I can see on Samsung's global site lists only 8GB for the standard S10 - so anything saying 6GB there is wrong, but has versions of the S10e with 6GB/128GB and 8GB/256GB, while the S10 Plus is usually 8GB but the ceramic 1TB version is listed as 12GB. I really don't see how multiple variants that don't exist could get listed. Could it not just be that some regions only get the 8GB models? Come on PA, lets hate on Samsung even more. "all four models – Galaxy S10e, Galaxy S10, Galaxy S10+, and Galaxy S10 5G come with 8GB RAM inside; no more, no less." -Cosmin Vasile (PA) No more, no less? This is completely wrong, and a simple google search would have shown that the S10e 128gb comes with 6GB RAM, while the S10+ 5G 1TB comes with 12 GB. How arrogant for you to state "no more, no less." Ridiculous. Lmao finally we can download more ram with a software update. "Samsung's website lists some of the Galaxy S10 models as having 6GB RAM, which is completely wrong." -Cosmin Vasile (PA) How is it "completely wrong" when the S10e 128GB actually has 6GB RAM? Look like you're completely wrong. "In case you're thinking of ordering a Samsung Galaxy S10, or already did, you should know that all four models – Galaxy S10e, Galaxy S10, Galaxy S10+, and Galaxy S10 5G come with 8GB RAM inside; no more, no less." 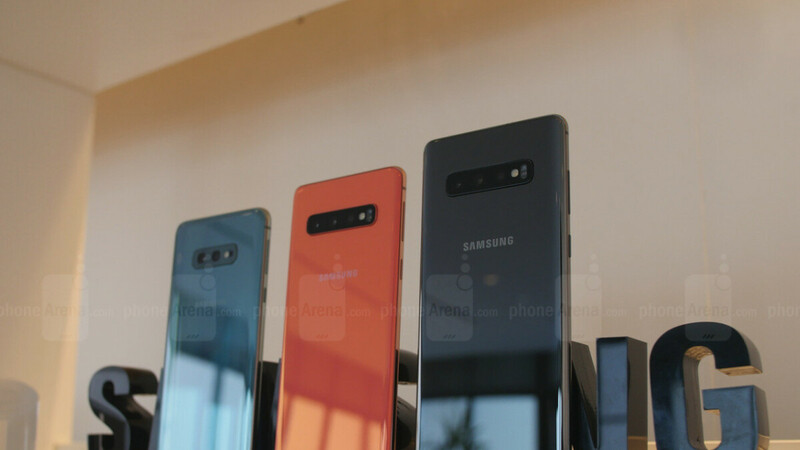 The author of this article has no clue that s10e is the only model to have 6gb and 8gb ram options and the S10+ model has 12gb ram option too. This really should not warrant an article to claim they "messed up". They may have made a mistake, but the actual RAM is higher than what's stated. So that is a positive. Or, the article could have been written without the negative wording. if this was Apple pA: iPhone users are the luckiest people alive. they stand a chance to get extra 2gig of RAM for less cash. s 10e is 6gig RAM. so how does the picture relate to the caption??? Cosmin, don't post articles when you are high!!! Um... Literally every other publication says otherwise. Samsung themselves say otherwise. Where is this info even coming from? From their Apple handler, wanting some kind of negative Samsung article today. PA's own article from two days ago listed the cheapest version of the S10 coming with 6GB of RAM. So IPA has talked to confused customers as they are at home ordering the S10 devices? And people are upset their getting 8gb of ram instead of 6? So for that reason Samsung messes up their entire launch? Lmao... This had to have been written by a 10 year old. What a messed up article. You are an Idiot.